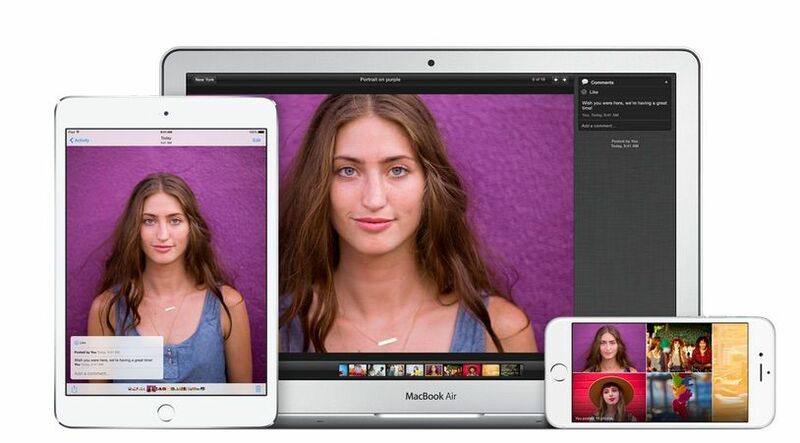 Apple is finally letting developers get their hands on Photos, the long-awaited successor to iPhoto. 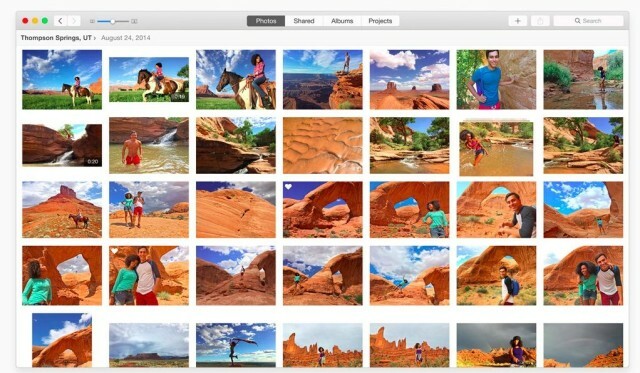 Revealed at Worldwide Developers Conference 2014, the new app is a complete revamp of iPhoto, allowing Mac users to organize, edit, share and print their favorite photos. It packs powerful new tools into a gorgeous, OS X Yosemite-style user interface. The public launch of Photos isn’t expected until spring, but we took the beta for a spin today to get acquainted with the future of Apple photo software. We found eight new features you’re going to love. 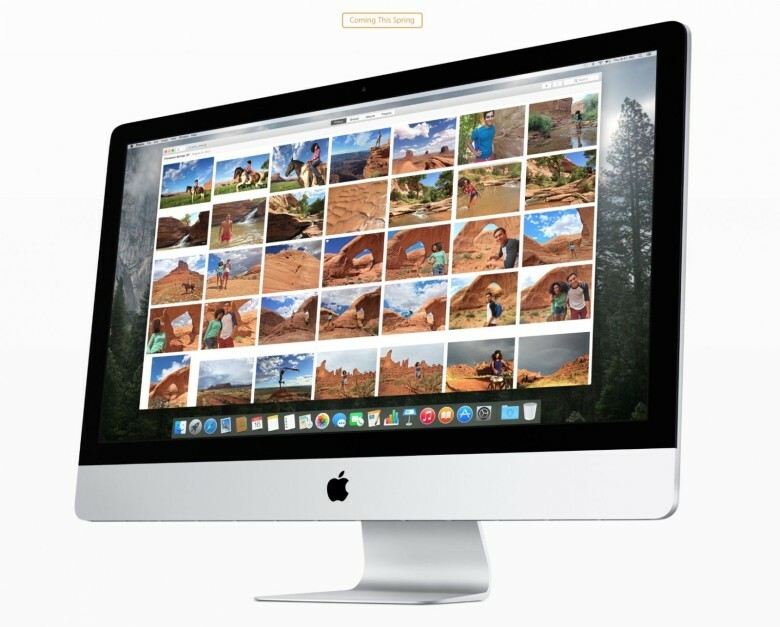 Storing your entire photo library on your Mac will eat through all your free storage in a hurry, but with the new iCloud Photo Library, everything can be easily saved to iCloud. The feature comes with two options. 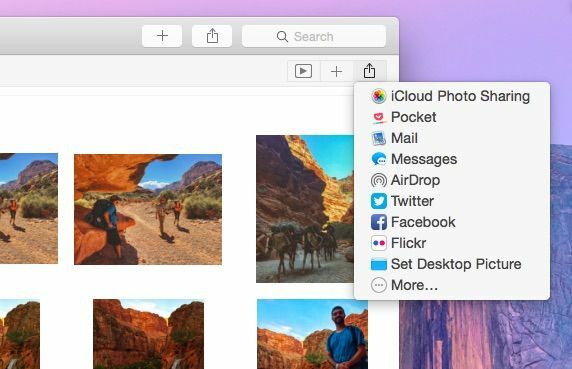 “Download Originals to this Mac” will keep the original, high-resolution photos on your hard drive, while “Optimize Mac Storage” sends all the high-resolution images and videos to iCloud, then stores some originals on your Mac if you have enough space. Apple gives users 5GB of storage for free, but you’ll probably need to purchase more data, with plans starting at 99 cents a month for 20GB and options all the way up to 1TB. Setting up iCloud Photo Library can take a few hours if you have a big library, but it just freed up 16GB of space on my MacBook Air, so it seems totally worth it. 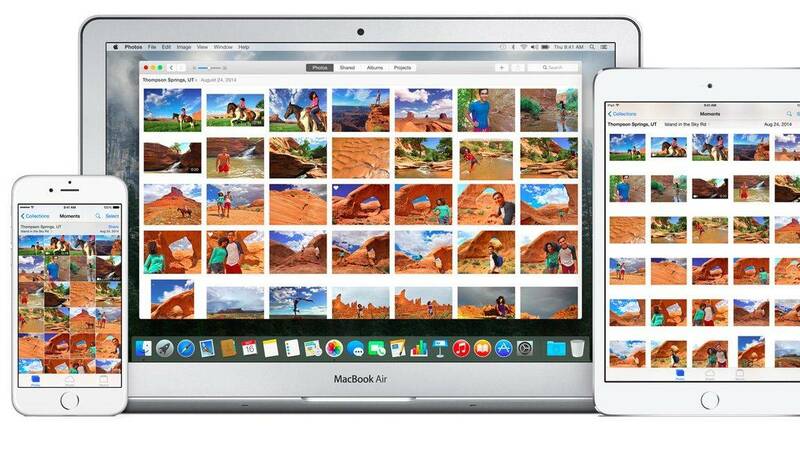 Other than freeing up storage on your device, the next big reason to upgrade to iCloud Photo Library is the ability to sync all your photo edits on your Mac, iPhone and iPad. With iCloud integration, any changes you make to a picture on one device will also show up on other devices you’re signed in to. Apple also saves the original photo, so if you make changes you don’t like, you can always undo them. The No. 1 reason you’re probably going to use Photos is to make your pictures prettier, so Apple’s made it quicker than ever to enhance an image. You can use the auto-enhance feature or quickly click through eight built-in filters to see what you like best. For those that want more fine-tuned controls, Photos also has sliders that let you adjust light, exposure, highlights and shadows. It’s not powerful enough to replace Lightroom or Photoshop, but it does give novice users an easy way to spice up their pics. The UI for the Photos app has been completely redesigned from the old iPhoto interface. The biggest change is that there’s more space for pictures, allowing photography to be front and center. Navigation tools have been moved to the top of the window, and the organization of photos has also been improved by bringing in automatic collections based on location and time. Scrolling through my library of 12,437 pictures in iPhoto would bring my MacBook Air to a crawl. Photos handles the task with ease. Apple says it built Photos to handle large libraries, and after flicking through my photos it certainly feels much zippier than iPhoto. Yes, you can still share to Facebook, Twitter and most other social networks, but with support for Yosemite’s share sheets, you can also share your pics to any app or service that adds support via an extension. Instead of eyeballing whether a photo was shot straight, you can now use Photos’ Auto Crop tool, which rotates the image to be in perfect harmony with the rule of thirds. 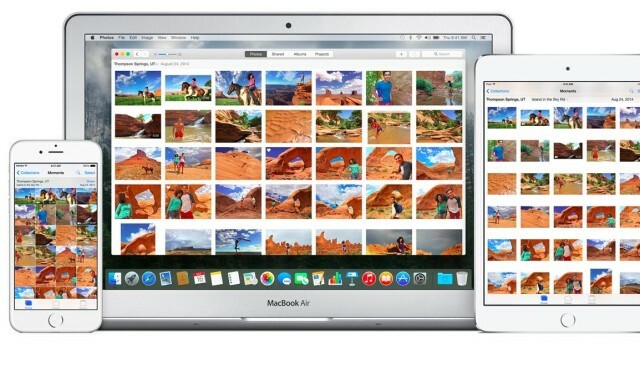 Apple added new options to create books and prints of your favorite photos. 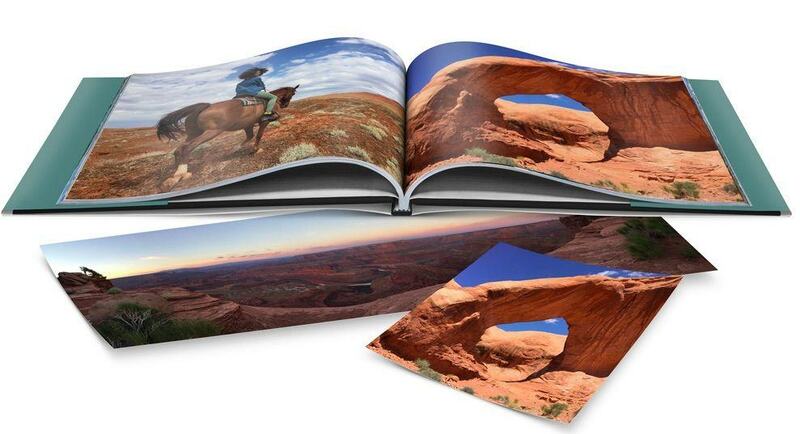 New themes have been added to the Projects tab, as well as the ability to print square books or send your panoramas off to get auto-sized on canvases up to 36 inches wide.